I saw a pale B. a. desertorum Pharaoh Eagle Owl earlier in the year and took a few photos of it shown below. 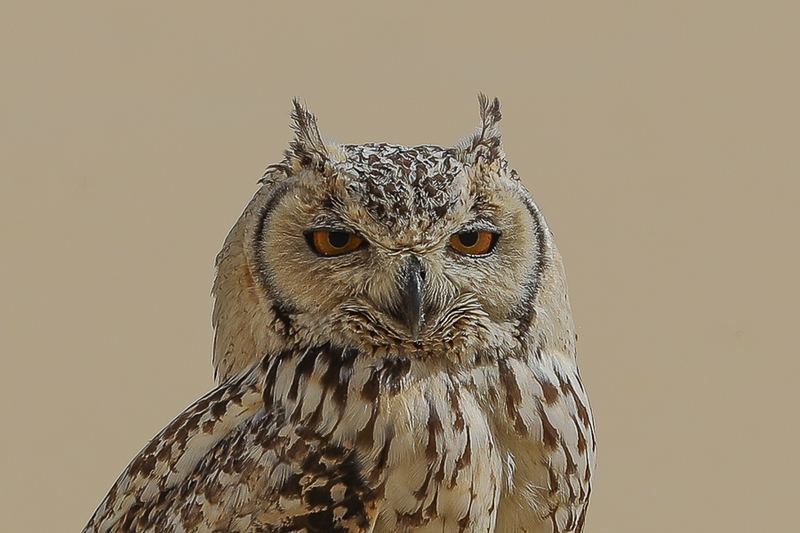 The Pharaoh Eagle Owl is distributed throughout much of North Africa and the Middle East, with two recognised subspecies. 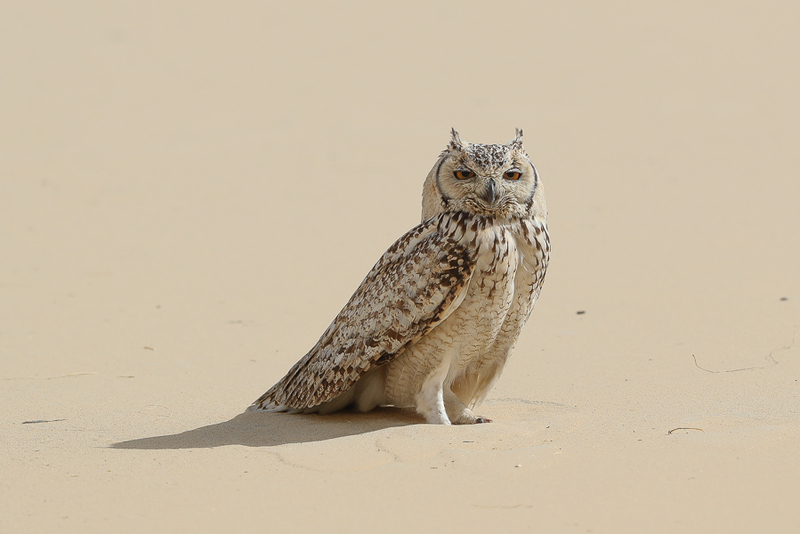 The subspecies Bubo ascalaphus ascalaphus occupies the northern part of the species range, being found in Morocco, Algeria, Tunisia, Libya, northern Egypt and Israel east to western Iraq. 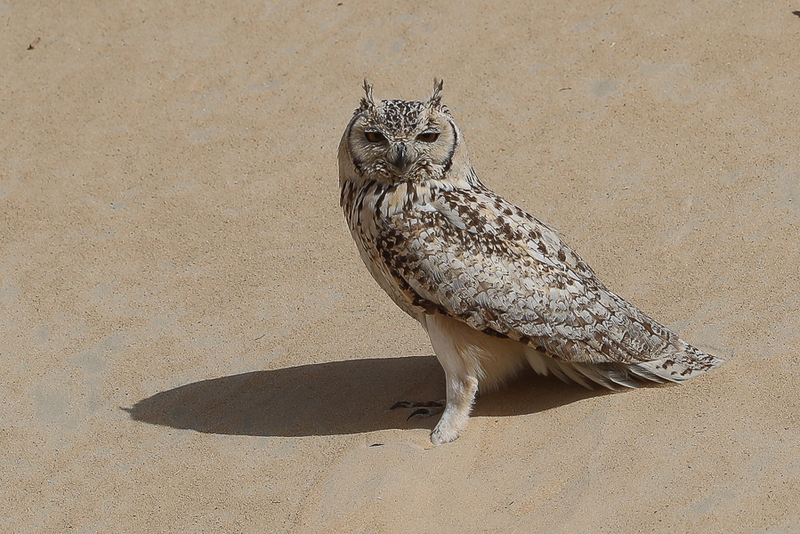 By contrast, the smaller, paler and sandier coloured Bubo ascalaphus desertorum can be found in the Sahara Desert south to Mauritania & Niger and from Western Sahara, east, to Sudan, as well as in Eritrea, Ethiopia and much of the Arabian Peninsula, as far south as northern Oman and as far east as southern Iraq. They are found in arid habitats, including open desert plains, rocky outcrops and broken escarpments and jabals, mountain cliffs and wadis. Most records from Saudi Arabia have been attributed to the pale B. a. desertorum. Beautiful! May Allah bless you with all good animals and humans Saudi Arabia!